People have been using perfumes for pretty much all of recorded history. While hygiene standards have varied over the centuries (Queen Isabella of Spain, the 1400s, boasts that she’d only had 2 baths in her entire life), people have always wanted to smell good. And they’ve turned to perfume. So what exactly is perfume? Have people always understood it to be scented liquids in little glass bottles, as we know it today? Well, oddly enough, some of the earliest perfumes were kept in little glass bottles. As the French say, the more things change, the more things stay the same. So let’s look at perfume through the ages, and see what we find. We see perfume now as liquids, which we can dab or mist on ourselves to give a pleasant scent. The word modern word perfume, however, comes from the Latin phrase per fumus, meaning “through smoke,” and that gives a hint to the origin of perfume. The earliest perfumes were the smokes given off by burning incense. Incense is one of humanities oldest inventions; records of it go back to ancient Egypt, more than 3500 years ago. It was used to scent the air, and was mainly a “luxury” product: the wealthy used it in their homes, and the priests used it in religious rituals. Ordinary folks had to deal with smells of ordinary life. Incense was a luxury item because of the tremendous effort that went into producing it. Then, as now, the more difficult it is to make something, the more it will cost. To get an idea of ancient incense preparation, just try to powder various barks, twigs, leaves, and flowers with a mortar and pestle. Now do it enough to make a barrel of incense. And this brings us to another point: just where to perfumes come from? For the most part, perfumes and incenses are made from plant products. Many woods, such as cedar or mesquite, are quite aromatic, and we all know that flowers give off scent, as to many leaves. Other substances, such as oils and wines, can be added to these in various combinations, to create the desired scent. Generally, in today’s terminology, if the source of the scent is a solid, than it’s an incense; if the source is a liquid, it’s a perfume. The ancient Egyptians knew about liquid scents, as well. They used various oils and flower extracts on themselves, and the use of scents spread through their entire society. Perfuming was part of bathing, and bathing was frequent. As a side note, the public baths of Greece and Rome probably owe something of their nature to Egyptian precursors. The Egyptians also paid attention to the bottles and jars the used to keep perfumes. For the most part, these were ceramic or pottery, but they also used glass, just as we do today. Egyptian culture may have disappeared, but the practice of perfuming lived on. The Greeks and Romans did not use incense as extensively, but they did take up the practice of using scented oils as part of bathing. Olive oil was frequently used a base for men’s fragrances. These perfumed oils actually served a dual purpose. They smelled good, of course, but in the hot Mediterranean climate they also protected the skin from the sun. So, for much of history, perfumes were made by crushing flowers, barks, woods, or leaves, and then infusing them into various oils or burning them as incense. Things began to change in the Middle Ages, when Arab chemists developed a process to extract oils from flowers. Today we call these oils essential oils, not because they are essential to the perfume industry (they are), but because they are the “essence” of the scent. Arab traders introduced essential oils to Europe in the Renaissance period, and perfume makers quickly recognized them as superior for the production of scented perfumes, especially liquid ones. Perfume, as a way of masking the unpleasant odors of life, quickly became popular throughout Europe. In France it became particularly popular, in part by royal imprimatur The court of Louis XV was called the “perfumed court” because of the prevalence of scent. It was in France that the practice of daubing women’s perfume on the wrists originated. It wasn’t just the royal courtiers who were perfumed, though. The gloves and wigs that were the style of the day were frequently perfumed. If you’ve ever seen portraits from colonial America, notice the wigs that Washington and the other gentlemen are wearing; they’re white, not from age, but from the perfumed powder that was applied to them. The practice of making perfumes from essential oils, primarily from floral sources, remains with us today. 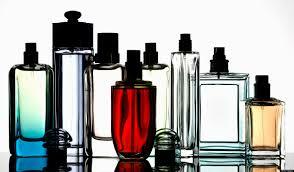 The biggest difference between women’s fragrances now, and the women’s fragrances available in the 1700s, is the bottles. Modern glass perfume bottles, as small bits of artwork, were the brainchild of Francois Coty, the French-Corsican perfume maker, who, in the 1890s and 1900s, developed a fabulous reputation as parfumier, or perfume maker. He also had an eye for marketing, and recognized that not everyone had the ‘nose of Coty.’ His insight was to sell his perfumes in small, attractive glass bottles. He partnered with a glass maker, and the rest is history. Sometimes, the array of perfumes, with their scents and their bottles, can be intimidating, and that can keep people from buying perfume. You can avoid those problems at Yourdiscountperfume.com. We’ve got hundreds of perfumes available for sale on our site, at great prices. You can browse them all, at your leisure, and read through the descriptions before you buy. You won’t find pushy salespeople, and there are no obligations. What you will find are the best perfumes for women and men, at the best prices available, with delivery directly to you. So check us out, and see how easy it is to find the right perfume.